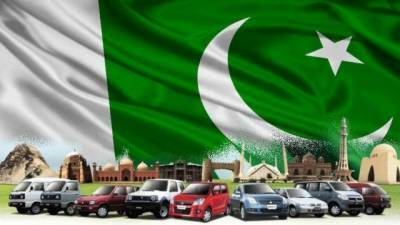 ISLAMABAD Under the Auto Development Policy 2016-2021 fifteen (15) new companies have been awarded the Greenfield status while two companies are awarded Brownfield status for revival of automobile sector units in the country. According to an official source the committed investment so far is more than US $1169 million. The investors, which have been granted greenfield status will manufacture cars, light commercial vehicles, SUVs and heavy commercial vehicles. The companies awarded greenfield awards under ADP includes Kia Lucky Motors Pakistan Ltd, Foton, JW Auto Park (Pvt) Ltd, Regal Auto Mobile Industries (Pvt), Sazgar Engineering works ltd, United Motors (Pvt) Ltd, Master Motors Ltd, Khalid Mushtaq Motors (Pvt) Ltd, Pak China Motors (Pvt) Limited, Hyundai Nishat Motors(Pvt) Ltd, Topsun Motors and Engineering Services (Pvt) Ltd, Al-Futtaim Automotive Pakistan (Pvt) Ltd, Khalid and Khalid Holdings (Ptv) Ltd and Hanteng Motors Company (Pvt) Ltd. The Brownfield category two closed down units have been revived namely Dewan Farooq Motors and Ghandhara Nissan Ltd. The Greenfield award provides facilities to the investors for import of plant and machinery for setting up an assembly and manufacturing while the Brownfield awards facilitate the investors for the revival of sick or non-operational units. ADP aimed at facilitating higher volume, more investment, enhanced completion and better quality with latest technology. It also aims at creating a balance between Industrial Growth and tariffs to ensure sustainability of all stakeholders. The policy helps in ensuring consumer welfare and providing policy consistency and predictability for investors and mid-term review to cater for emerging developments. New investors coming under ADP shall also provide more options to the consumers in addition to enhanced overall capacity of the country.